Hispanics tend to get certain diseases at higher rates or acuity — more due to social and economic stressors than genetics, yet they often have better health than other U.S. residents, especially if recent immigrants. 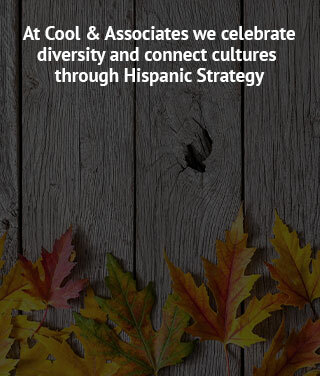 Specialized outreach is necessary to effectively educate and engage the Latino community! By 2043, Hispanics will be the majority, and 1 million Latinos turn 18 EVERY year. This ready-made workforce is not being appropriately and effectively trained to garner living-wage jobs and careers. We can customize solutions. Talk to us to develop your workforce development plan, including coaching, training and recruiting. Hispanics are forecasted to hold one out of every two mortgages! Per the latest Census, one in four Hispanics have individual income greater than $65,000. Affluent Latinos grew over 200% over the last decade. Today, one in 6 people is a Latino and as of 2043, Latinos will be the Majority- yet the factors behind their purchasing behaviors and psychographics are a mystery. 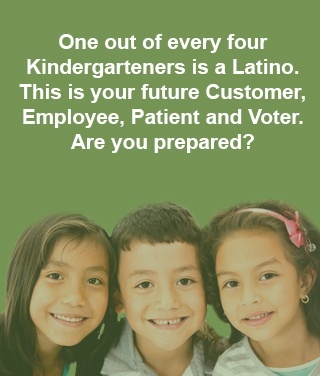 Let us recruit for your focus groups to ensure the Latino voice is heard.